Dalvourn Holidays is owned and operated by the Forbes family whose forebears have lived in the Strathnairn valley for over two centuries! We are therefore proud to welcome our guests to our modern self catering country cottages and to our ancestral homeland. Situated on the 200 acre Dalvourn Farm, Farr in the beautiful Strathnairn Glen just east of Loch Ness, these self-catering cottages near Loch Ness are set in a secluded birch woodland. There are extensive on-farm nature walks and mountain bikes are available for hire on site. Beginning at your self catering cottage, there are three and a half miles of beautiful woodland and riverside walks on Dalvourn Farm. These connect with extensive forest walks/roads within Forest Enterprise woods allowing you to walk or mountain bike for miles into the hills on quiet forest roads. There is a wide variety of wildlife and birdlife with red squirrel, deer, golden eagle, red kite, osprey, buzzard, owl, hawk and woodpecker frequently seen. The name Dalvourn comes from the gaelic “Dail Bhuirn” which means open meadows by the waters. 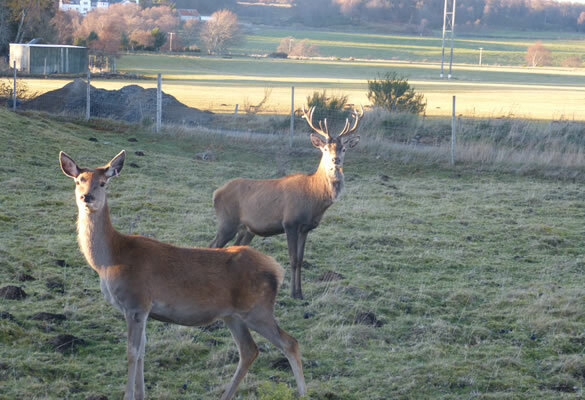 This is an excellent location for your self catering holiday in the Scottish Highlands. There is so much to see with Loch Ness, Inverness, Culloden, Nairn and Aviemore, as well as historic sites such as Cawdor Castle and Urquhart Castle and famous golf courses, all within easy reach. You are deep in the Scottish Highlands yet close enough to Inverness City shopping centre, restaurants and pubs, Eden Court theatre, cinemas and sports facilities to make your holiday one to remember. Inverness – 6 miles; Loch Ness – 11 miles; Culloden Battlefield – 8 miles; Nairn beach – 20 miles; Aviemore Ski centre – 26 miles. We have made Dalvourn Holiday self catering cottages special so you can relax and make the most of your holiday. These have all the modern appliances and facilities you would expect from a high quality establishment to ensure you spend the maximum time enjoying your holiday.